Jerusalem, Israel — November 30, 2014 … Part of the following was communicated by the Prime Minister’s Office to the Israel News Agency. 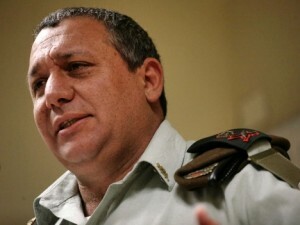 An infantryman from the Golani Brigade who stood out during the Second Lebanon War for his sober and calm reading of the situation, Eisenkot was notified that he had been given the post by Netanyahu on Friday morning. He is set to take up the position on February 15, succeeding Lt. Gen. Benny Gantz. Netanyahu stated: “I would like to thank Maj.-Gen. Yair Naveh for his great contribution to the security of Israel. I think, Defense Minister Yaalon, that a way will be found to integrate him and his experience so that he might continue to contribute to the IDF and the security of Israel. Oren Bar-El – Ambassador to El Salvador and non-Resident Ambassador to Belize, and Paul Hirschson – Ambassador to Senegal and non-Resident Ambassador to Guinea-Bissau, Gambia, Sierra Leone and Cape Verde. Pursuant to Article 31c of Basic Law: The Government, the Cabinet decided to unify the Intelligence Affairs and Strategic Affairs ministries as the Intelligence Ministry. The foregoing shall be submitted for Knesset approval. The Cabinet decided to appoint Ran Ben-Barak as Director General of the Israel Intelligence Ministry effective 7 December 2014, subject to Knesset approval referred to in item #3 above. Pursuant to previous Cabinet decisions, the Cabinet decided to set a five-year term for the position of Finance Ministry Director General and Accountant General. The Cabinet discussed and approved plans for the development of the community of Arab al-Naim in the Misgav Regional Council area. The Cabinet approved Prime Minister Benjamin Netanyahu’s and Civil Service Commissioner Moshe Dayan’s proposal to increase the employment of people with disabilities in the civil service. The Cabinet discussed receiving personal information from airlines about passengers on incoming and departing flights, and flights that pass through, the State of Israel. The Cabinet decided to appoint a team, headed by the head of the National Security Council Counter-Terrorism Bureau, to consider the need and possibility of establishing a database for receiving personal information (Advance Passenger Information and Passenger Name Record data) about passengers on incoming and departing flights, and flights that pass through, the State of Israel, in order to strengthen counter-terrorism and anti-crime capabilities. The Cabinet approved draft amendments to the 2014 Prevention of Illegal Migration and Ensuring the Departure of Illegal Migrants and Foreign Workers from Israel Law and authorized the Ministerial Committee on Legislation to approve the final version of the law and submit it for Knesset approval.